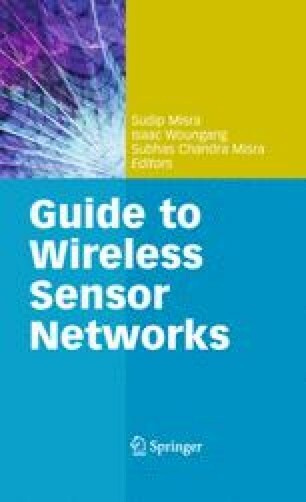 Wireless-sensor networks (WSN) are expected to enable connection between physical world and the Internet to provide access to vast amount of information from anywhere and anytime through any kind of communication devices and services. However, this vision poses significant challenges for WSN. Due to the pervasion in its nature, centralized control of WSN is not a practical solution. Instead, WSN and its communication protocols must have the capabilities of scalability, self-organization, self-adaptation, and survivability. In nature, the biological systems intrinsically have these capabilities such that billions of blood cells, which constitute the immune system, can protect the organism from the pathogens without any central control of the brain. Similarly, in the insect colonies insects can collaboratively allocate certain tasks according to the sensed information from the environment without any central controller. Therefore, the natural biological systems may give great inspiration to develop the communication network models and techniques for WSN. In this chapter, we introduce potential solution avenues from the biological systems toward addressing the challenges of WSN such as scalability, self-organization, self-adaptation, and survivability. After the existing biological models are first investigated, biologically inspired communication approaches are introduced for WSN. The objective of these communication approaches is to serve as a roadmap for the development of efficient scalable, adaptive, and self-organizing bioinspired communication techniques for WSN.